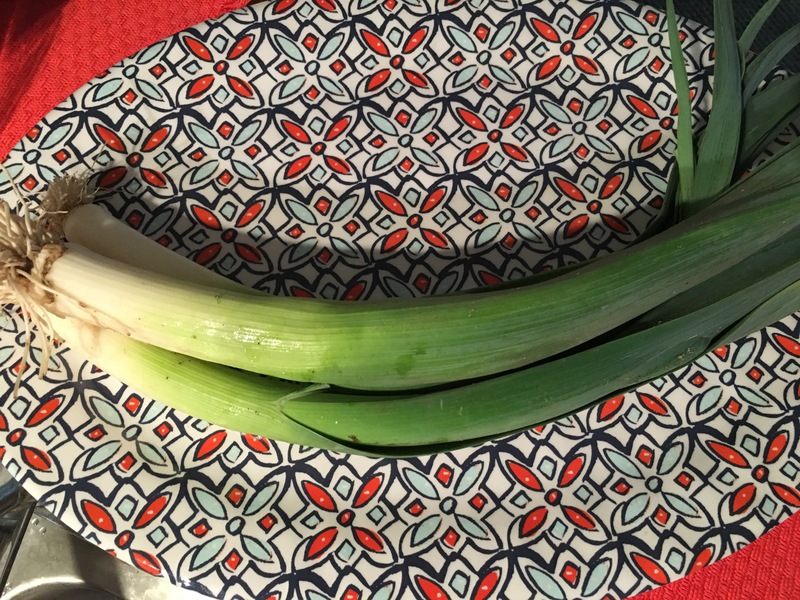 How to prep leeks – Hurried Home Chef! 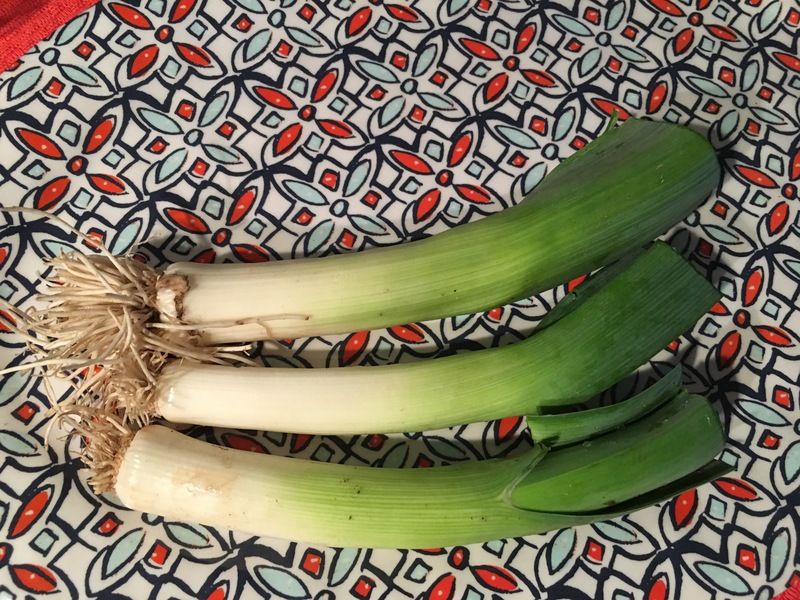 If you like onions, you will probably like leeks. They are milder and can be very aesthetically pleasing. They are great for quiches, roasts, or just to elevate everyday dishes. This is right from the market. The lower half is not normally edible, but I’m sure someone knows how to use them for something. 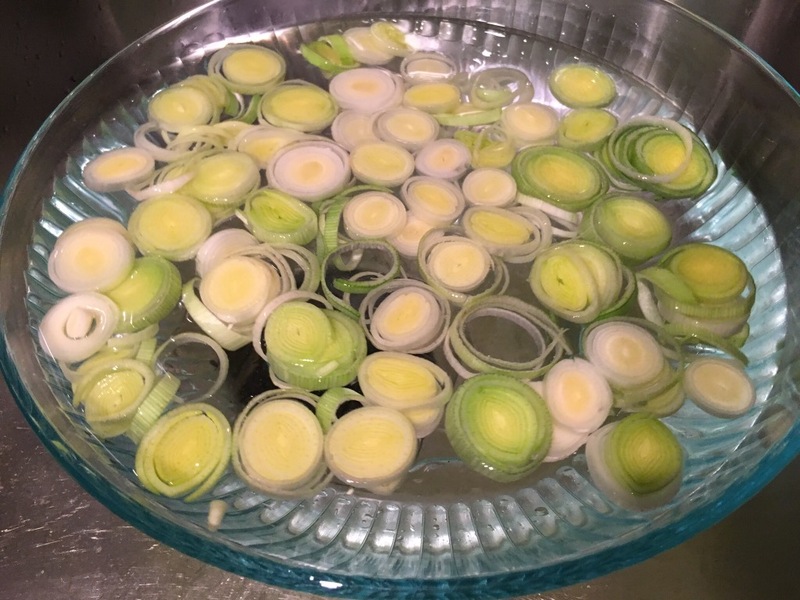 Cut off the top and bottom and soak in water. They are usually full of sand. 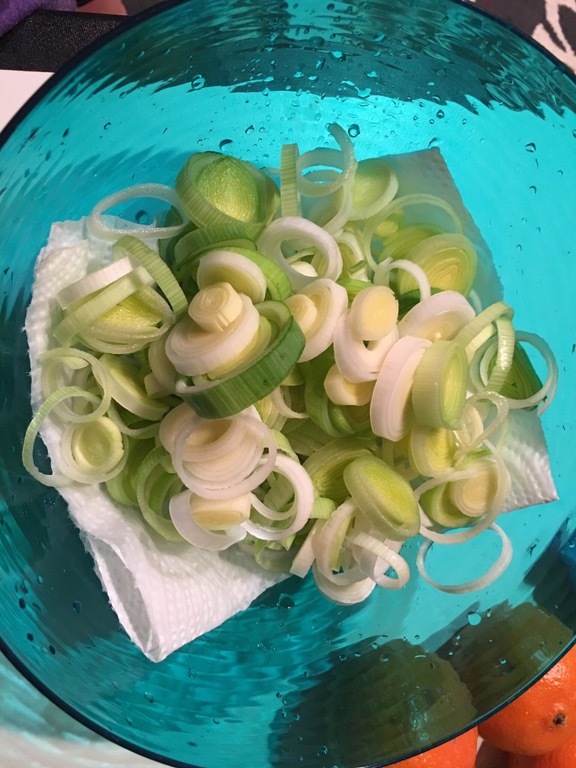 If you are dicing them, cut then put in a large bowl of water and allow the sand to settle. I clean almost everything on shopping day and put it away chopped, let it dry well though. They float and the dirt falls to the bottom. Scoop out and dry. Cook or store. 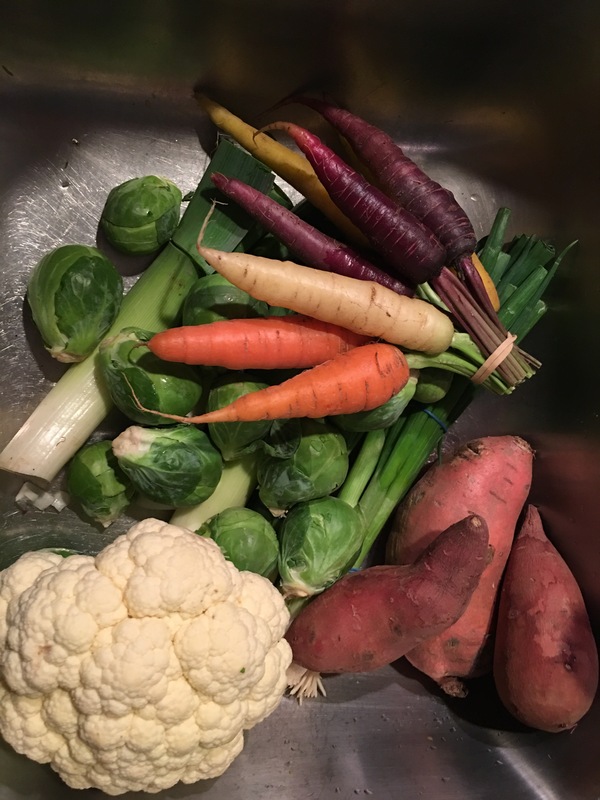 At this point, you can sauté or bake. 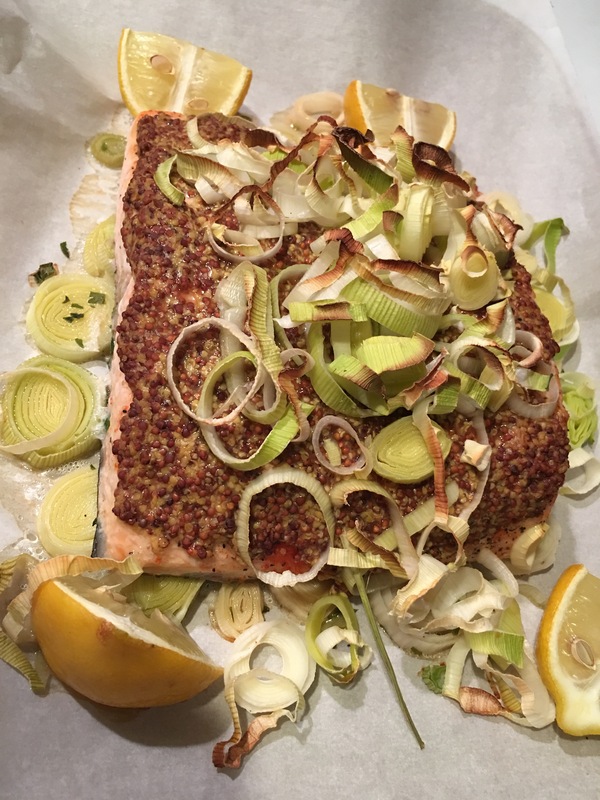 I put them in between some salmon and baked it. The bottom set were soft and mild and the top ones were crispy and more onion flavored. I also sautéed some and added them to an omelette the next day!